DRIVE Roundtable: 2019 NCAA® Men's Final Four® Preview – College Hoops and More! 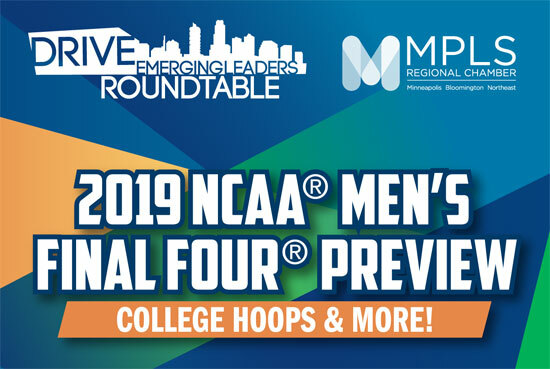 Name: DRIVE Roundtable: 2019 NCAA® Men's Final Four® Preview – College Hoops and More! Minneapolis is home to the 2019 NCAA Men's Final Four, providing a fresh opportunity to showcase the city's vibrant downtown, world-class venues as well as a chance to welcome college basketball fans from around the world. The Minneapolis Local Organizing Committee (MLOC) and NCAA have planned a variety of Final Four events and programs that will leave a lasting, positive impact on the region. Hear directly from the MLOC on what to expect and how to get involved at this DRIVE Roundtable.